The ideological conflict over the role of governments vis-à-vis markets is a false choice. Governments need markets and markets need government. A key feature of Singapore's approach has been a shift towards lighter regulation, accompanied by a more intense focus on risk-based supervision. Both markets and governments have been found wanting. What we need is not more of one and less of the other. We need both to be more effective. "The invisible hand of the market has often relied heavily on the visible hand of government." The key fallout of the global financial crisis is a battle between markets and governments. This is no idle matter. It is one of the bigger and most consequential battles of our time. Yet we may find that there is no universal balance between markets and governments that applies at all times and in all places. <!-strCallout1->Each country may have to find its own balance. The balance between markets and government may have to calibrated and re-calibrated continually, adapting to circumstance and context. This has been the central insight of Singapore’s experience. And while Singapore is a small nation compared to most others, it potentially offers insights that could be relevant elsewhere. Singapore’s approach to policymaking is not based on any of the usual “isms” so beloved of intellectuals. The two “isms” that perhaps best describe Singapore’s approach are pragmatism (an emphasis on what works in practice rather than abstract theory) and eclecticism (a willingness to adapt to the local context best practices from around the world). The ideological conflicts over the role of governments vis-à-vis markets often present a false choice. For that reason, public policy in Singapore has been guided by a deep appreciation of the critical interdependence between markets and government. Indeed, Singapore’s approach can be summed up as follows: Governments need markets and markets need government. 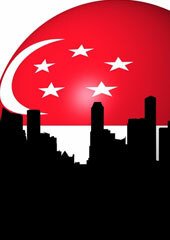 That the market plays a central role in Singapore is well-known. According to the World Bank, Singapore is the easiest place in the world to do business. According to the Heritage Foundation, Singapore is the second freest economy in the world, after Hong Kong. There are virtually no import tariffs, no export subsidies, no exchange restrictions, no price ceilings, no minimum wage, no rent control. Income tax rates are among the lowest in the world, and government expenditures as a percentage of GDP are well below most countries. Equally — if not more importantly — government policies have been strongly guided by the application of market principles. Be it in industrial policy, medical insurance, congestion pricing, social security, regulation of utilities, or allocation of land, Singapore has assiduously applied market mechanisms and price signals. 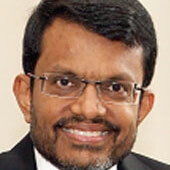 <!-strCallout2->“Getting the economics right” has been a hallmark of governance in Singapore. Economic development does not occur naturally. It needs preconditions, and if these do not exist, government needs to create them. Markets function best under some rather exacting conditions — rule of law, perfect information, absence of coordination failures, and no monopoly power. But the irony is that governments sometimes have to be in markets to enable these conditions. This is where free marketers become disenchanted with Singapore. The government has never hesitated from guiding the development process or intervening in markets where it believes such intervention will lead to superior outcomes. The objective of government intervention is neither to suppress nor to supplant markets, but to support and sustain them. In Singapore, government intervention has sought to harness the power of the market to manage and grow the economy. Not all of the Singapore government’s interventions have worked, but that is a reason to scale back, modify or even withdraw the intervention — not to reject the role of government altogether. First, the government has sought to “enable” markets. This includes ensuring rule of law, property rights, and public infrastructure — functions that most governments perform. But in Singapore, enabling markets has also included industrial policy and capability development — subjects of continuing controversy in policy circles around the world. <!-strCallout3-> Second, the government has sought to “regulate” markets. This includes supervision of the financial sector, competition regulation, and taxation of negative externalities. A key feature of Singapore’s approach has been a shift towards lighter regulation, accompanied by a more intense focus on — and practice of — risk-based supervision. Third, the government has sought to “stabilize” markets. This is the bread-and-butter of macroeconomic management. Singapore’s basic approach in monetary and fiscal policy is not far from global practices. But its efforts to address asset price inflation and credit crises are interesting examples of targeted interventions that harness market forces. Fourth, the government has sought to “legitimize” markets. Globalization, free trade and open markets lead to significant dislocations. Some of the sharpest debates over the role of government focus on the extent to which governments should facilitate adjustments, redistribute incomes or provide social safety nets, so as to maintain public support for market-oriented policies. Singapore has sought to find its own middle ground on this complex challenge. Addressing these four dimensions explicitly and using them as a guidepost to strike the right balance in the tension between markets and governments will be critical, all the more so because the global financial crisis has profoundly shaken our confidence in both markets and governments. But mistakes and failures are bound to occur. They occur not because market participants are greedy or government officials incompetent. They occur because the world we live in is fundamentally complex and uncertain. Both markets and governments have been found wanting. What we need is not more of one and less of the other. We need both to be more effective and to work in closer collaboration, so that public interest and private initiative are better aligned. Overall, Singapore’s experience is that market principles are necessary to help government work better, and that good government is necessary to help markets work better. This is not to suggest that Singapore has got the balance right. Far from it. Singapore is still an experiment, a work in progress. If anything, the key take away from Singapore’s story is to keep an open mind, measure outcomes, continually review policies and to learn from mistakes. Pragmatism and experimentation must become the watchwords in public policy.